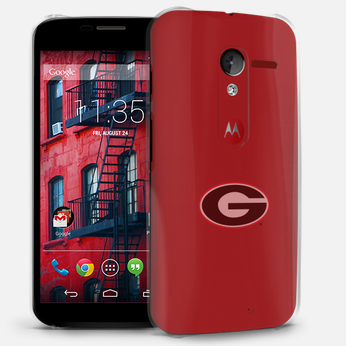 The very first thing that college sports fans did when the Moto Maker customization tool came out was make a phone in the colors of their alma mater. Now that's a little easier thanks to Motorola's College Collection. To facilitate better collegiate customization, the College Collection includes nine new back colors and three new accent colors (which don't seem to be available on the standard Moto Maker site). If that's not enough for you, the customized phones also include a clear case with your school logo. Right now the College Collection 16GB phones are $399.99, including the case, which means it's a free upgrade over the case-less Moto X from Moto Maker. You can upgrade to 32GB for $50 more, and the case is a $35 add-on for any Moto X in the standard Moto Maker lineup. The on-contract price is $50 for AT&T or Verizon, or $100 for Sprint. If you're currently in college (or you can, ahem, get access to an email at a .edu domain), you can get a discounted College Collection contract-free phone for $339. Nice. Want to buy a college logo case without the phone? Here you go. Right now Motorola is offering 43 color customizations and cases covering most of the big state schools in the United States, from Alabama to Wisconsin. Motorola says it has logos and customizations for "up to 40 schools and counting," so maybe they'll be adding more at some point.